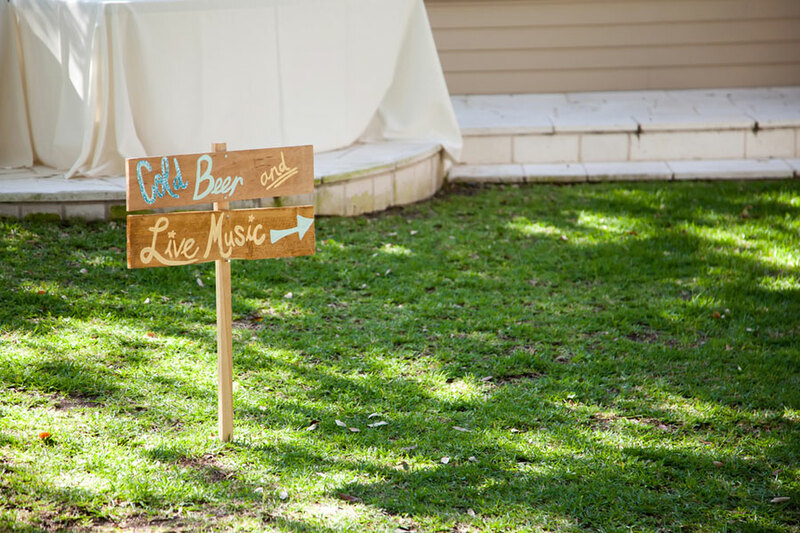 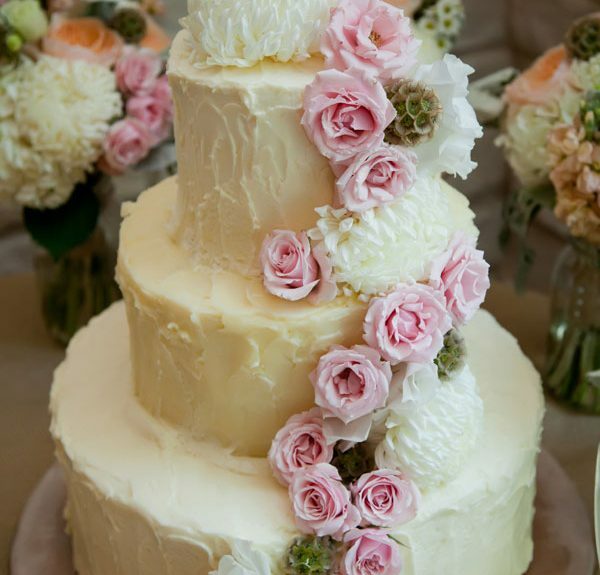 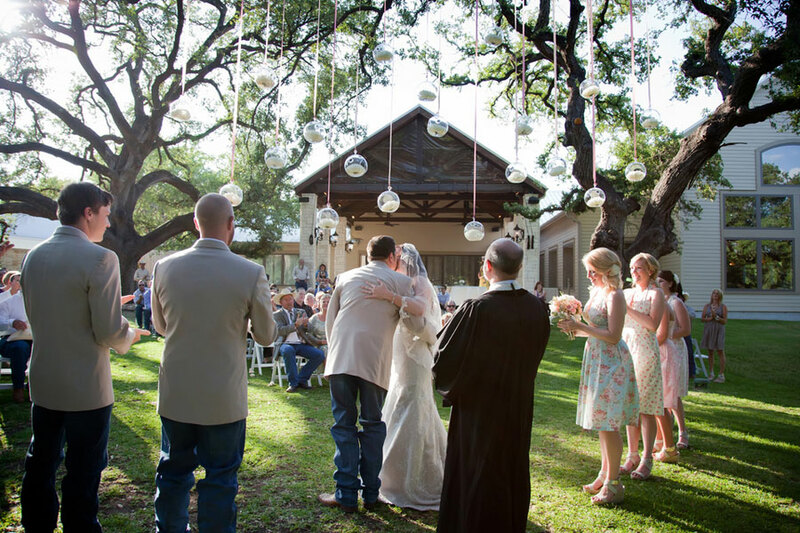 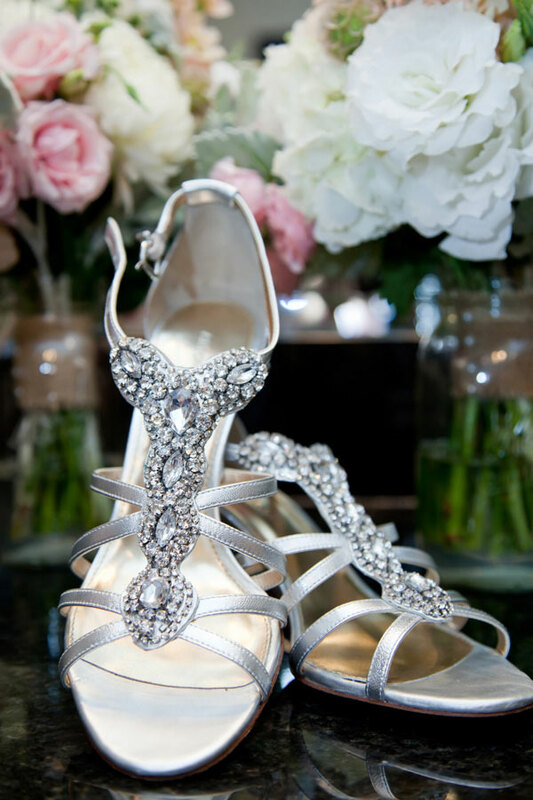 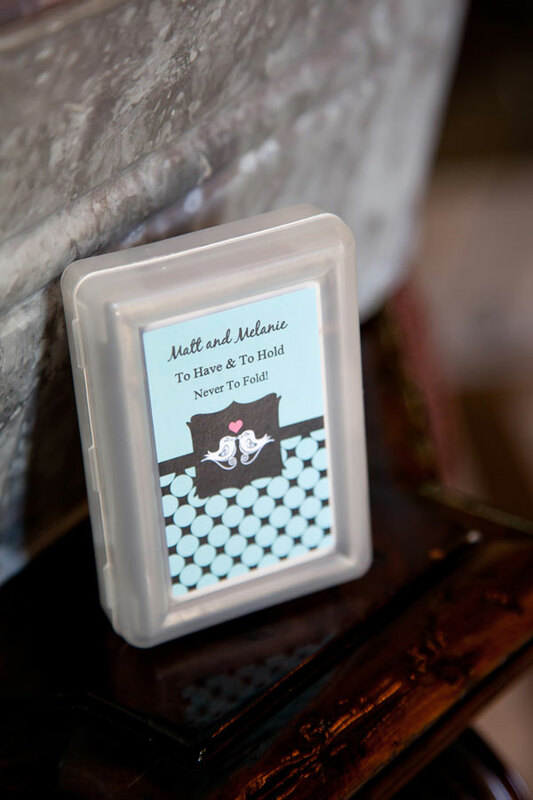 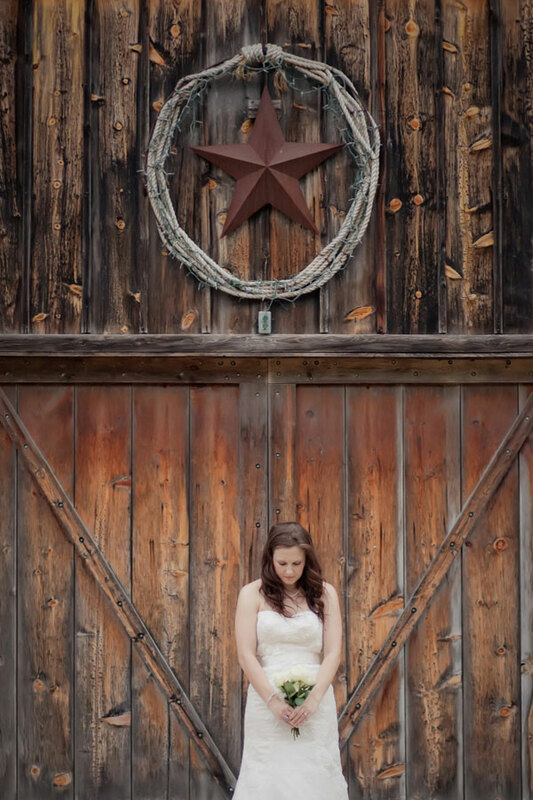 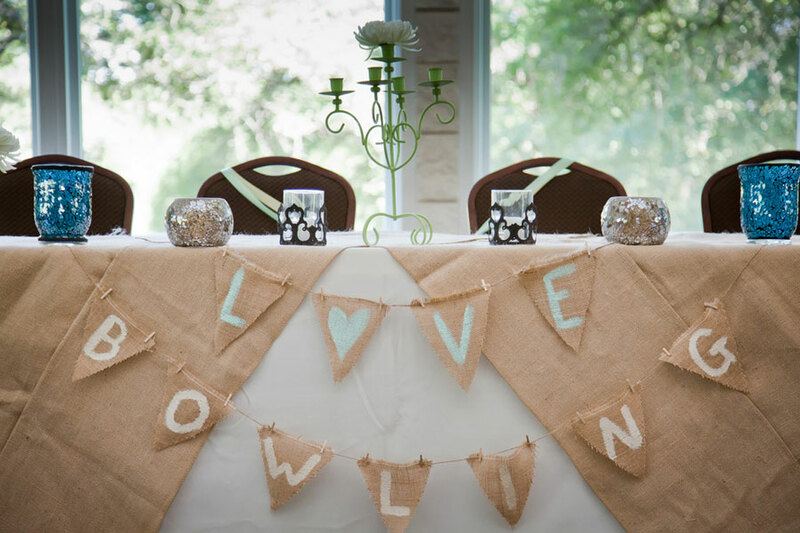 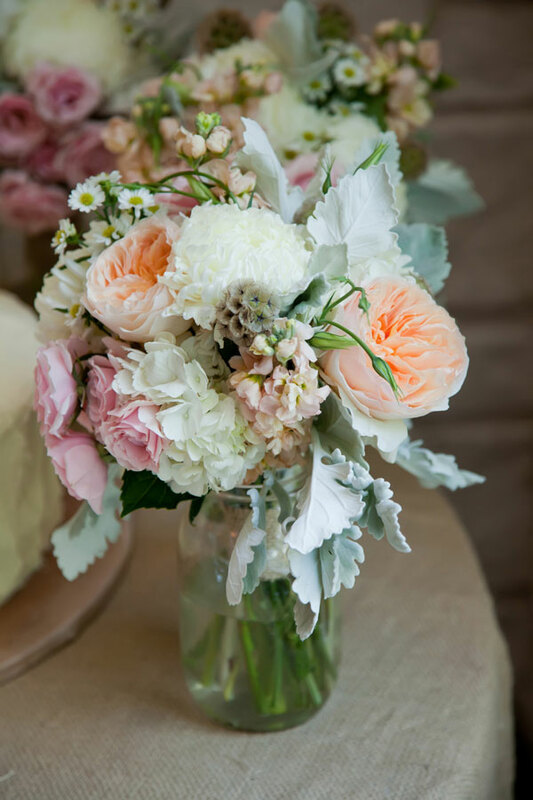 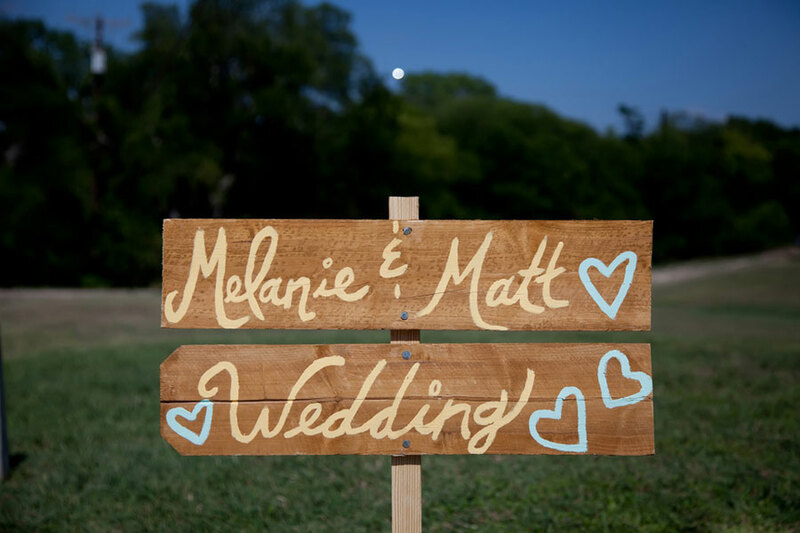 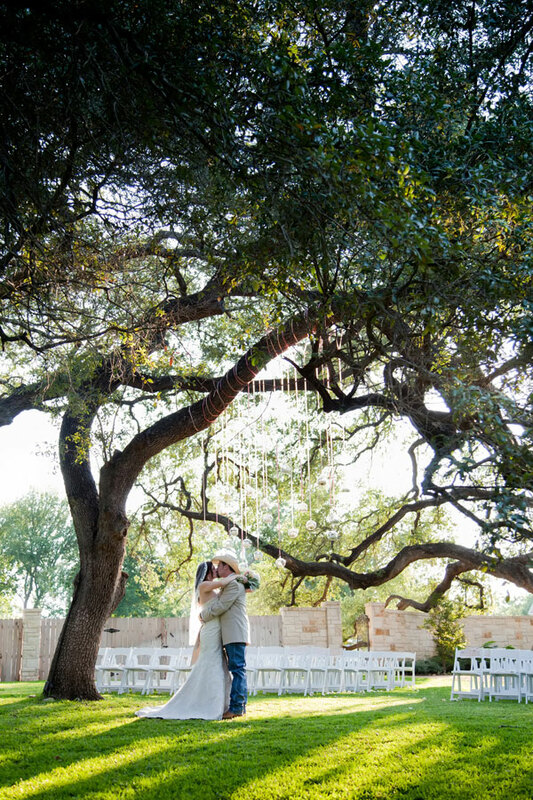 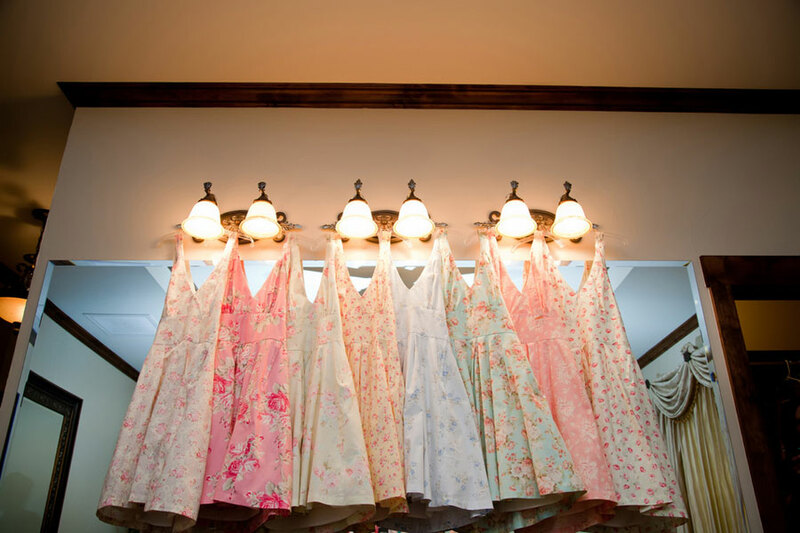 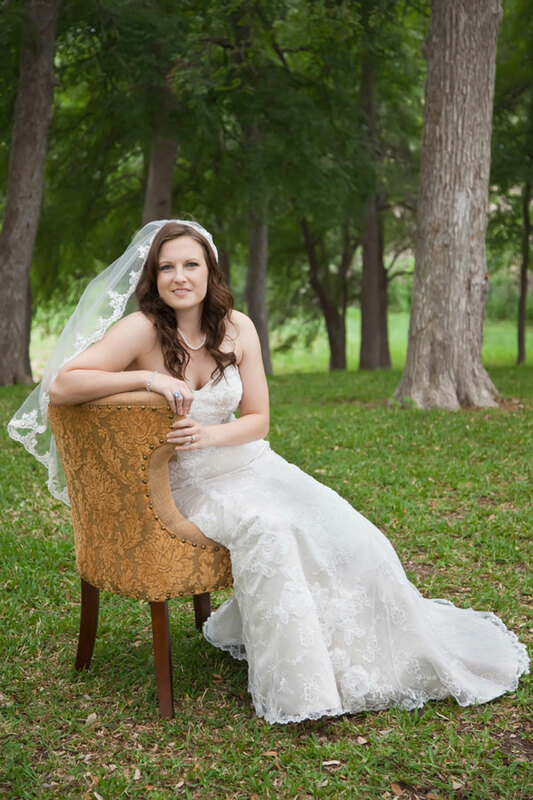 Start your week off right with a sweet Texas wedding! 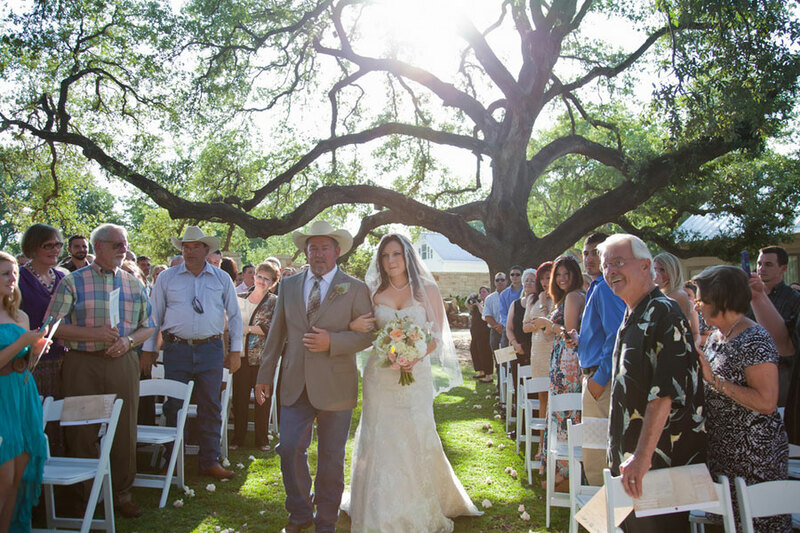 Melanie Daniell & Matt Bowling’s wedding under the giant oaks of Texas has a dreamy country feel to it. 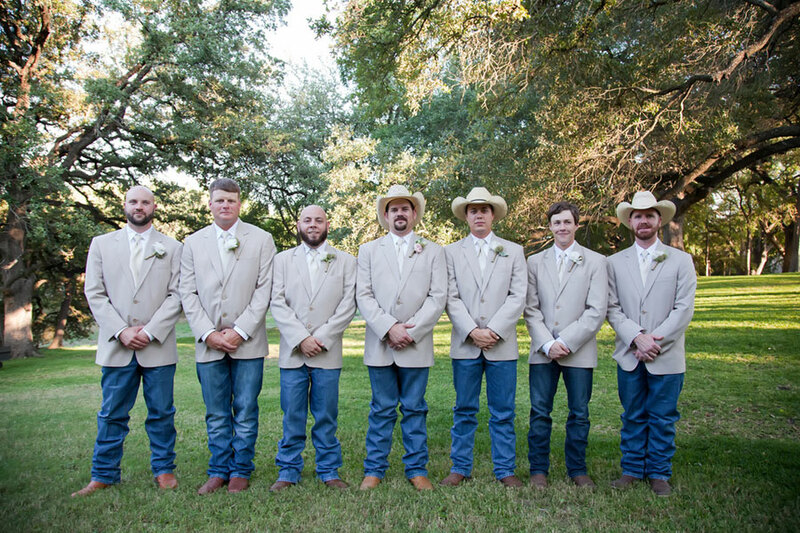 The men were outfitted in fresh crisp blue jeans, khaki blazers & naturally cowboy boots & a hat or two! 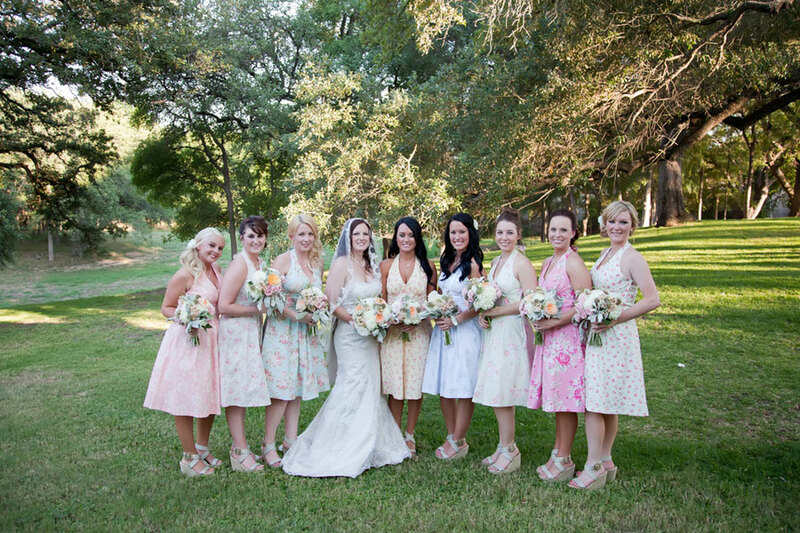 The gals donned handmade mix matched floral dress by the bride’s mother! 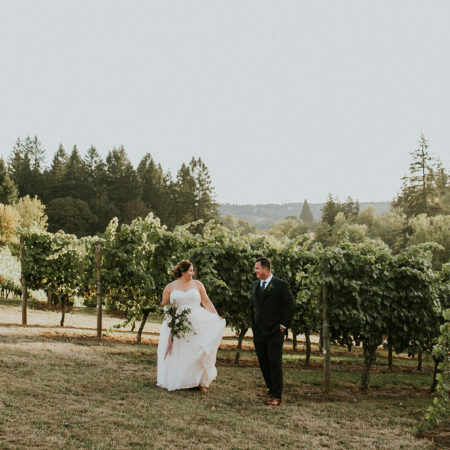 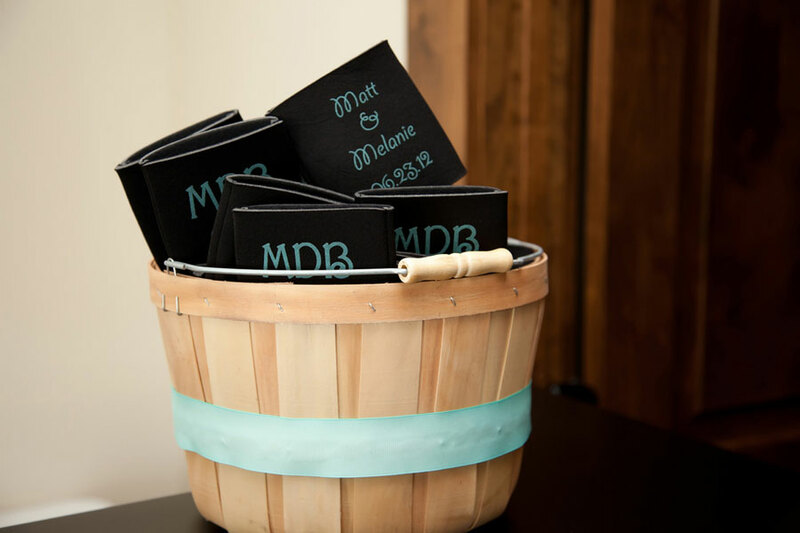 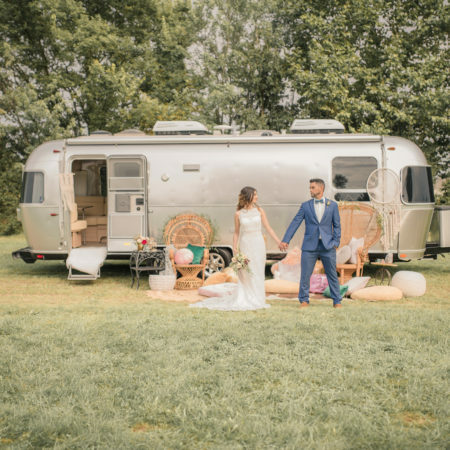 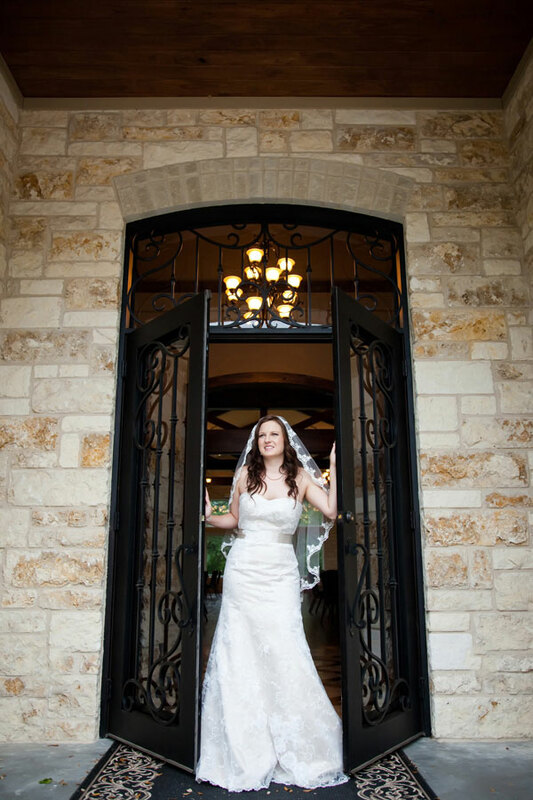 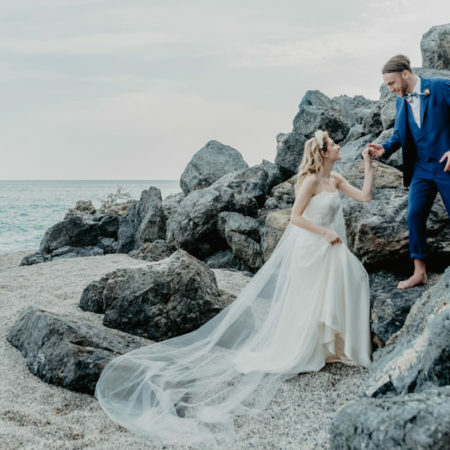 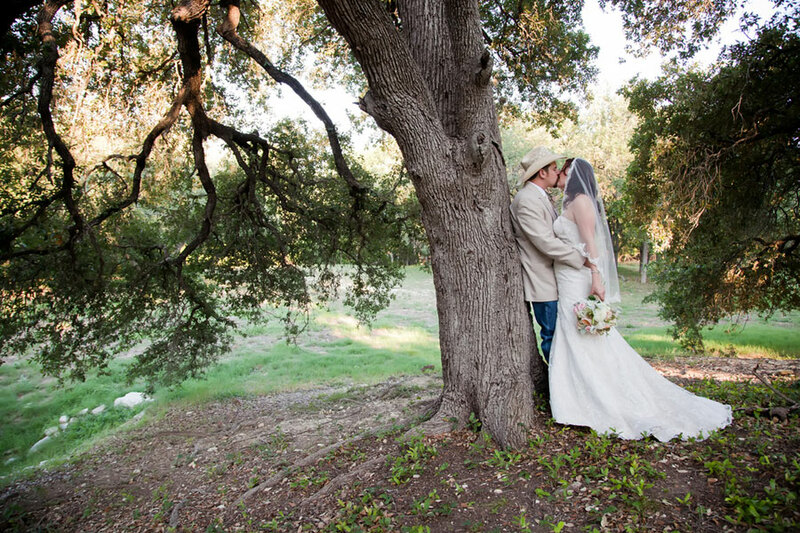 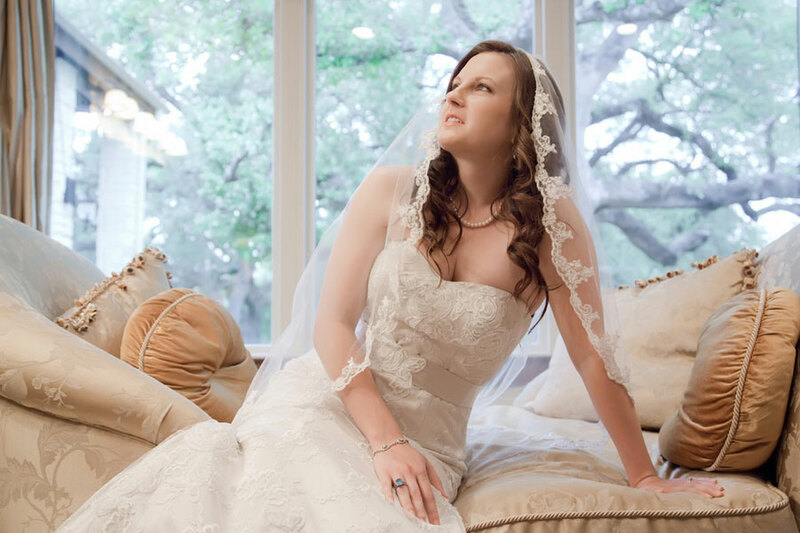 It was of the utmost importance to Melanie that they married outside under the giant sprawling oak trees, to which her dream came true when they discovered Cathedral Oaks Event Center. 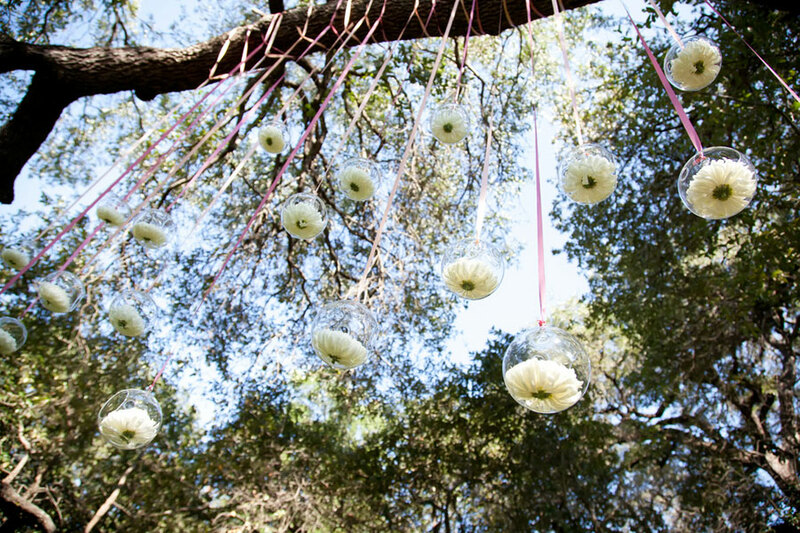 A sturdy branch above their ceremony space was outfitted with mums which hung in glass globes in a very Labyrinth (Ps-talking about the movie) way. 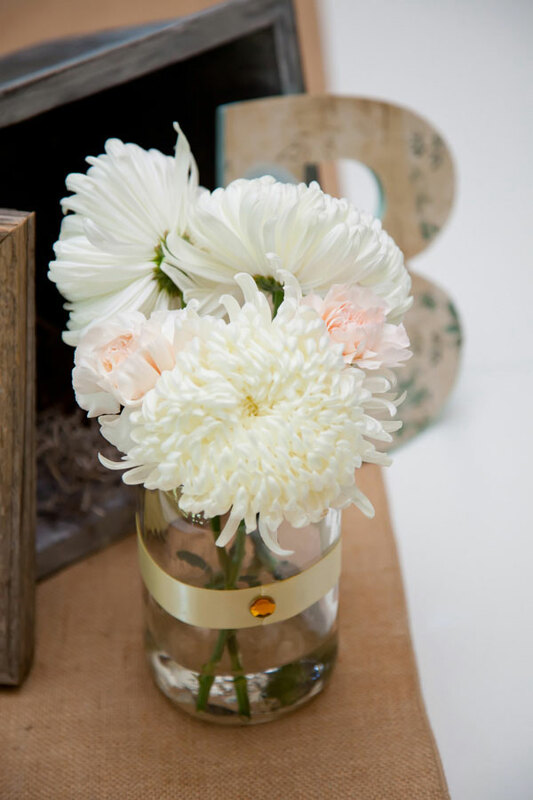 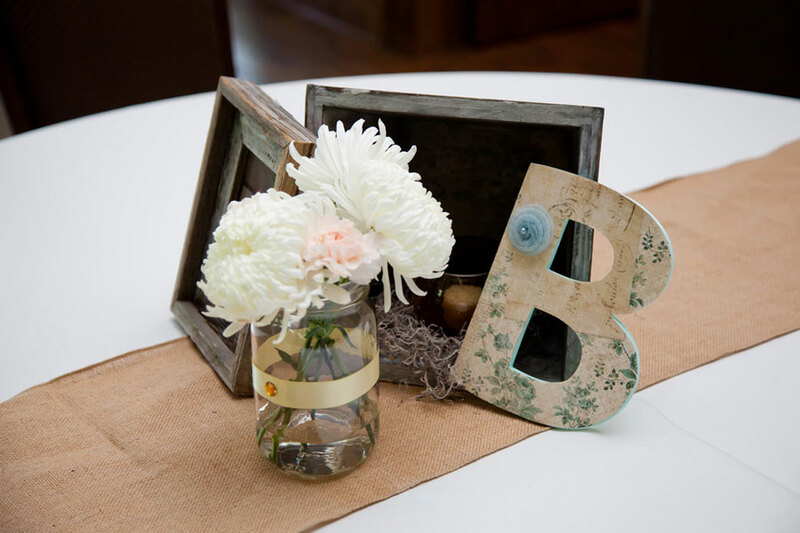 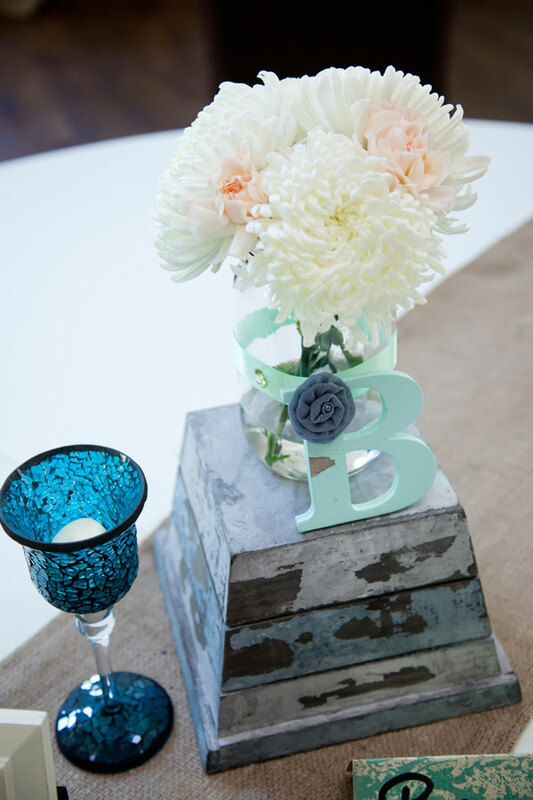 Tables were decorated with a combination of white mums in mason jars and birdhouses with blue wood planter stands to display their personal photos. 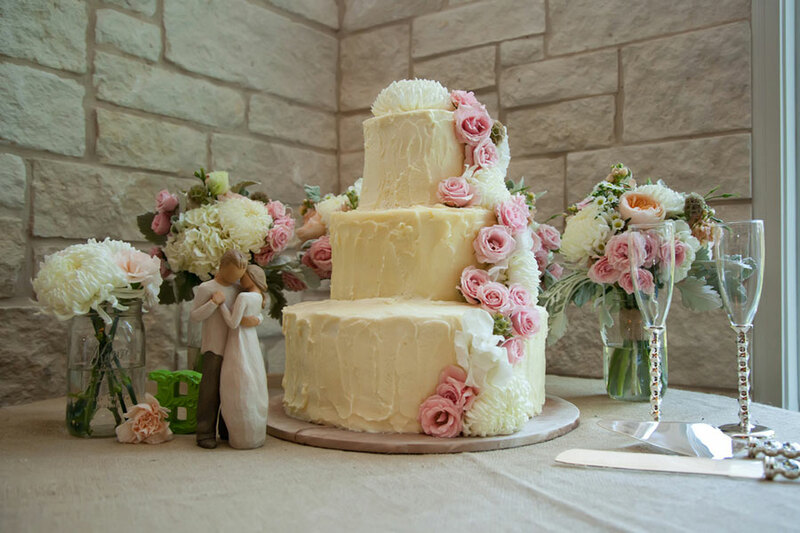 I must say however, I am absolutely crushing on the wedding cake! 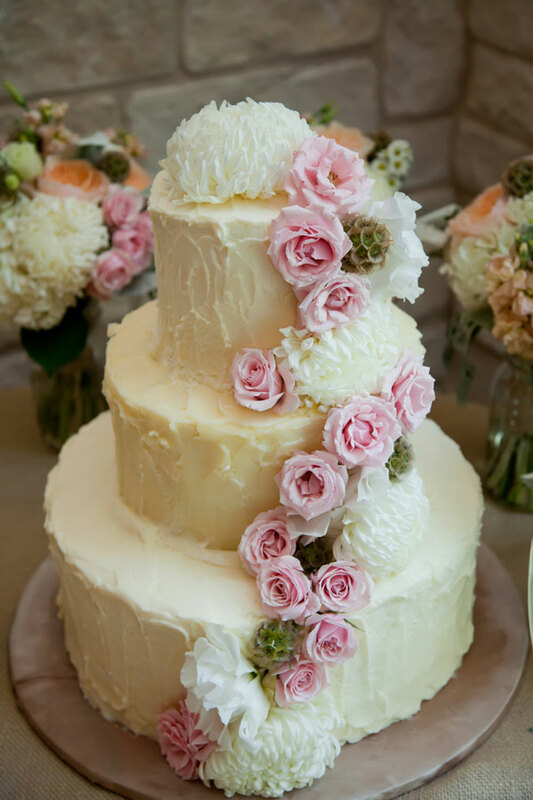 Rich butter cream frosting that was whipped and styled left to be a star in and of it self! 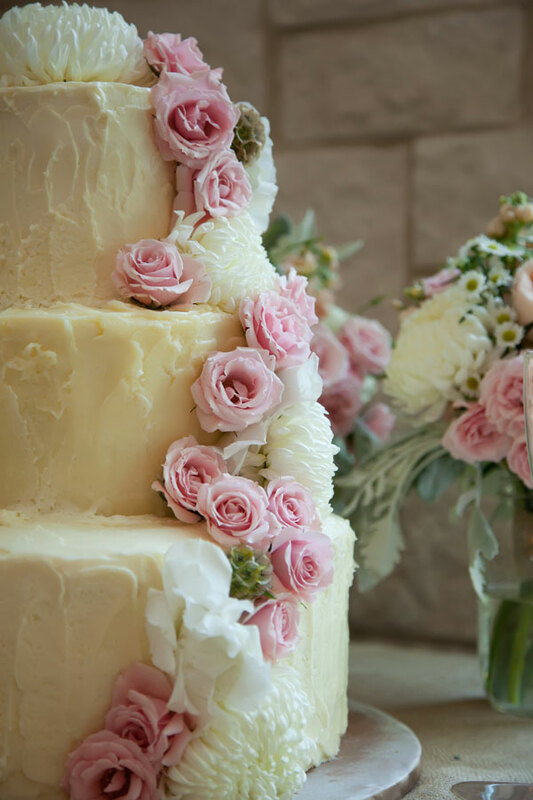 Delicate pink roses and mums were draped down the side as a finishing touch! 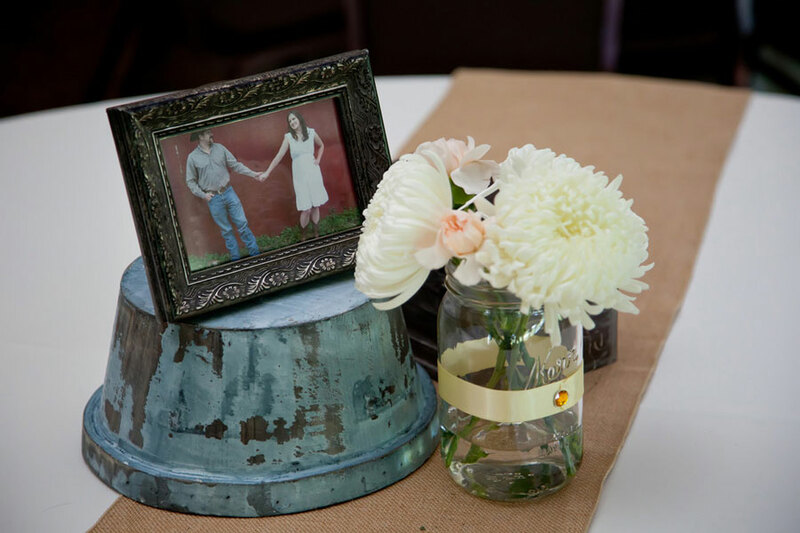 The cake & the wedding is so very country chic!